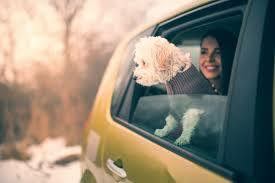 Sometimes travelling with your pets is the only option since most people do not have luxury of leaving their pets with family or friends. However, preparing your pet for the trip will make your pet ease into her new environment and make your holiday an enjoyable one. Here are some general tips when travelling with your pet. Check whether pets are allowed- Many destinations will require your pets to be in quarantine for approximately 120 days. Don’t underestimate the cost – With air, hotel, food and unexpected vet bills, your pet can eat into your travel budget. Add these cost to your budget to ensure you have sufficient money for your holiday. Use proper identification – Place a tag on your pet’s collar with details of vaccination information, your name, your address, phone number and local contact numbers. Train your pet – Train your pet to respond to commands like sit and heel. Your pet should also be able to travel with a collar and be friendly and obedient. If she has to travel in a crate, get her used to sleeping in it at home. Learn about your pet’s health – Take a temperature monitor together with your pets usual vitamins and medication. Other useful items to include could be tweezers, gauze, antibiotic ointments and ear drops. Buy a crate – A pet crate should be sturdy and sized correctly to your pet. If your pets is going to fly, make sure you read your airline’s requirements regarding size, weight, material and design. Most airline will require crates to have ventilation on all sides plus the door.